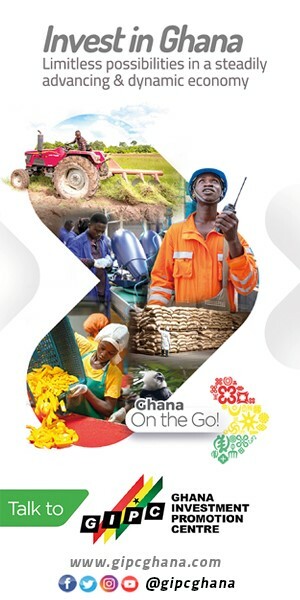 Let’s look closely at Ghana’s telecom sector. 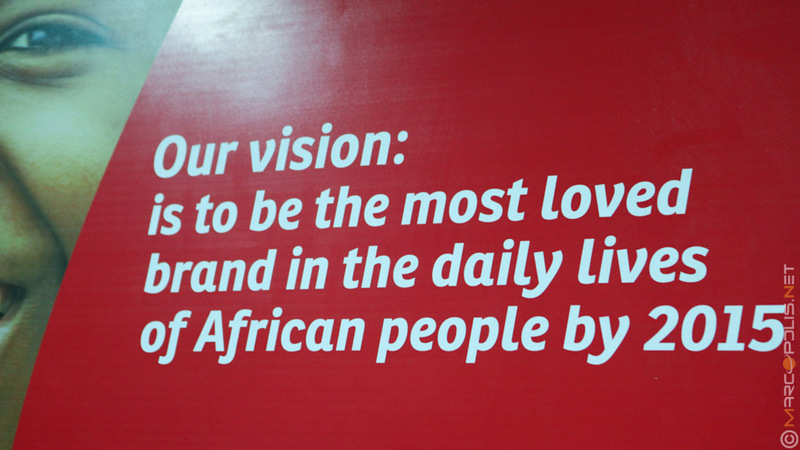 Airtel’s presence in Africa spans across 17 African markets. What is particular about the Ghanaian market? 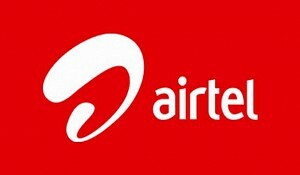 Airtel as you may know is the third largest telecommunications company in the world. In Africa we have the widest footprint with our presence in 17 countries both anglophone and francophone which is truly amazing. For us this means that we have a strong foothold on the African continent. 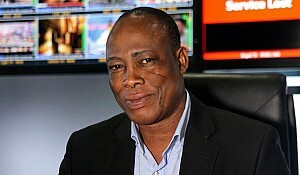 Very often I look at Ghana as probably the most competitive telecoms market in Africa, maybe even in the world. Here you have somewhere in the region of 25 million people, 6 multinational operators, a 4G LTE operator and ISPs. That by any standard is an extremely competitive market. The competition has served our customers really well. We have one of the highest mobile penetrations globally, at about 120% currently for voice. Data penetration is about half of that. It means that on the telecommunications journey, we have an accelerated market where almost any Ghanaian who really wants to have a phone actually does have one. The great thing about this journey is that Ghana has produced some great telecommunications professionals. The industry is over two decades old so you have competition and international knowhow. High penetration and competition means that to succeed in the industry, you have to be adept at what you do. 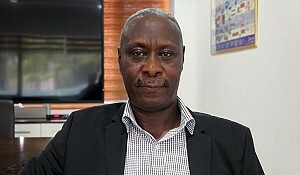 We have Ghanaians who have been participants in the industry for a very long time to the point that most of the telecoms sector in Ghana is actually run, even at the most senior level, by Ghanaians and we are extremely proud of that. I want us to absolutely lead the digital transformation of Ghana. Now we see data in real acceleration mode. In Ghana today, data and digital services are part of everyday life. You find small to medium enterprises running their business on their phones, on the internet – Facebook and other social media platforms. We are really proud as Airtel Ghana to be the lead telecoms operator when it comes to data and digital services. That in a nutshell is the story of the telecoms industry in Ghana. In relation to what you said, the CEO of MTN Ghana rightly said that any differentiation in the market is very limited so apart from what you said about data, how is Airtel Ghana standing out? What is your competitive edge? I think I have a slightly different opinion. 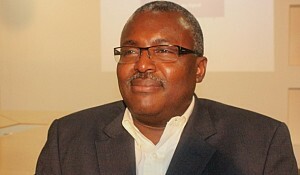 Airtel Ghana is actually extremely differentiated in the telecommunications market in Ghana. 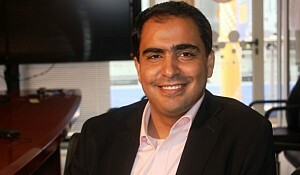 Under my leadership Airtel is focusing on future facing technologies and initiatives. We are leading the industry in terms of digital innovation and value added services. 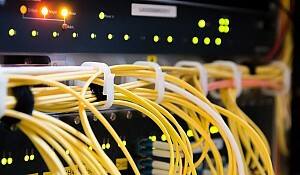 Very specifically we are the only telecommunications provider that has a segment of the business focused on high value customers through our Airtel Premier – which is not just about providing the telecommunications needs for high value customers but we go beyond their immediate needs to provide differentiated solutions with every touchpoint. Through Airtel Premier we have built partnerships with various banks who offer differentiated services for our high value customers and their customers benefit from our exceptional service offerings. In addition to this, we just launched the only free Wi-Fi service at the Adinkra lounge for business customers at the Kotoka International Airport where our Premier customers get access to the lounge and enjoy free access to the internet as they wait or transition in flights. We also provide offers through our loyalty partners for these customers such as discounts on airfare (with British Airways) and spa treatments. It is really about innovating differently. We also differentiate from a business point of view. We have a very strong growing unit called Airtel Business which is heavily focused on developing the small to medium sized businesses here in Ghana by meeting their communication, connectivity and collaborative needs. We have a clearly differentiated service with our award winning Airtel Money through innovations such as the Tap N Pay – a contactless payment system comparable to what you find in Europe. We are the first and only telecom company with this service in Ghana. We support this service at major merchant points such as supermarkets. Obviously most importantly our data and digital services are second to none in the country. We absolutely lead on data and digital innovation; we are the only telecom company to bring free Facebook to customers. We brought it not only as an entry point for people to connect on social media but also because we know that for many start-ups in Ghana, Facebook is the major tool to get their message out there in a cost effective way that gives them the scale only a large advertising budget can. We do actually have at least four different areas of very clear differentiation because at Airtel Ghana we understand that the future of telecommunications is really dependant on how we change the industry as the consumer cycle is changing. What about any new services or products that you will be launching? Certainly from a digital service point of view, what we are increasingly seeing is that digital is now an end to end story, it is not just about providing megabytes or gigabytes, it’s not just about providing a great, inspiring post to make people happy, and it is not just about having a nice hashtag for people to follow. What we are doing is taking digital to the next stage so it is end to end. For instance we have a very clear customer services channel that is purely digital. It takes on two forms, one is through our Airtel App, which customers can download and access a bouquet of services and customer care support directly from the App. Our analysis shows for example that the highest purchases through this App tends to be airtime, data and Airtel Money related services. We also provide customer service touchpoint through WhatsApp where customers can log complaints, queries and give feedback. You can even port your number through this platform because it allows customers to provide images of their identification cards. Hence porting to Airtel is really convenient. So there you have it, a little flavour of what to expect from Airtel: it is all about digital, it is all about a complete telecommunication value chain on a digital platform as opposed to a few convenient things here and there. That is the change that Airtel will be spearheading. Obviously you are bringing so much to the community but what are some specific CSR activities that you do? CSR is very dear to our heart at Airtel because it is part of our heritage as a business right from our home in India. We are probably one of the biggest providers of education services to disadvantaged children. At Airtel we believe very strongly in health, education, community and sports. We very clearly defined these four areas as our areas of focus. If you take an area such as community for instance, we were the first to launch and sustain our flagship program which is called Touching Lives. It is literally about touching lives and I absolutely love that platform because through it we rely on people in the community to tell us who deserves to be recognised and supported to drive the change in that community. For instance we had a breast cancer survivor who had set up a foundation to support other women who could not afford the treatment for breast cancer. I remember her saying to me ‘I set up this foundation because when I lost my husband and he bequeathed all his wealth to me I felt I needed to help other women who may not have been as fortunate as I was to receive treatment’. We brought her in as part of our Touching Lives platform; we recognised, supported to further her dream of supporting women with breast cancer. When you talk about education, we have built a whole classroom block for the Adaklu Abuadi Salvation Army School to support disadvantaged schoolchildren with access to education. We have done similar things in sports. For instance, most recently we sponsored the Millennium Marathon in Ghana, the biggest running event in this country in which our own employees actively participated. Also, for five years running we have had a program called Airtel Rising Stars. It is completely unique because it is a football talent identification platform, for want of a better expression in Europe it would be called a scouting platform. With Airtel Rising Stars we go across the entire country in search of talented and promising stars, put in place the structures to grow their talent. Last year alone, we had over 20,000 young people come out for trials. Working closely with the Ghana Football Association, these youngsters are aggregated into teams to compete for the national championship. I am very proud that quite a number of our young footballers discovered through this platform have excelled at the national level. For instance we have had some of the youngsters participate in the under 17s and brought medals home. We have had others go and compete on a continental level in Africa. We are really proud of our CSR and how it is actually having a sustainable impact on the communities in Ghana not just “here is a bit of cash, go off and do your own thing”; we are really changing and transforming lives on our journey. I am really pleased to be part of that. Recently Stratcomm Africa launched their magazine, how would you evaluate this initiative? I was very honoured to be asked to be part of the launch of Communicate and Speak at the launch event. I am very proud of what Stratcomm is doing with this magazine because Communicate is that platform where the Ghanaian and the African story is being told from a Ghanaian and African perspective. It is very important because a lot of the time, stories are told by people who do not necessarily live the experience of the story. Communicate is going to allow that to change and to say that the story comes from the people who live it every day, who experience it, who know what it feels like and who are sharing their story from their perspective. I think we all stand to learn a lot from Communicate magazine and more importantly have our voices heard more clearly. I am looking forward to the subsequent editions to come. You have very recently been awarded Marketing Woman of the year, what does this award mean to you and for Airtel in general? I will start with Airtel. For Airtel Ghana as a company, the award is such a huge recognition, which we truly appreciate, of the conscious effort we have made not just to communicate and connect with our customers, but to raise the standards of marketing in Ghana. We have come up with very innovative and new ways to actually market to Ghana; that I believe, has formed the foundation of this award. I am really grateful and proud of our team who have work tirelessly to ensure that the things we think and the ideas we create don’t stay in our heads and certainly don’t stay in our boardroom but make it out to the market place. Kudos to all of our professionals. For me as an individual, it is a truly humbling experience, honestly. I started my career as an engineer, I am not just a trained engineer but a career engineer; I spent ten years working in engineering. Over time I made this shift from engineering into more commercial facing functions. All along that long journey I have had to be attentive and learn new ways of thinking and doing things and apply some of the core skills that I got from engineering but also be a whole lot more creative in how I manage a business so to speak. The award is going to spur me on to do so much more in marketing and in commercial functions, and most importantly I hope that any young person who hears about this award, male or female, will feel inspired that whatever potential that they have within them, as long as they are willing to give and learn, as long as they are open to new things and new ideas, whatever they want to achieve is possible. Wherever you find yourself today does not define where you will find yourself in the future. It should rather act as a stepping stone to where you will end up in the future. To the CIMG and the governing council and every single person who saw me or thought of me as worthy, I say a very big thank you. 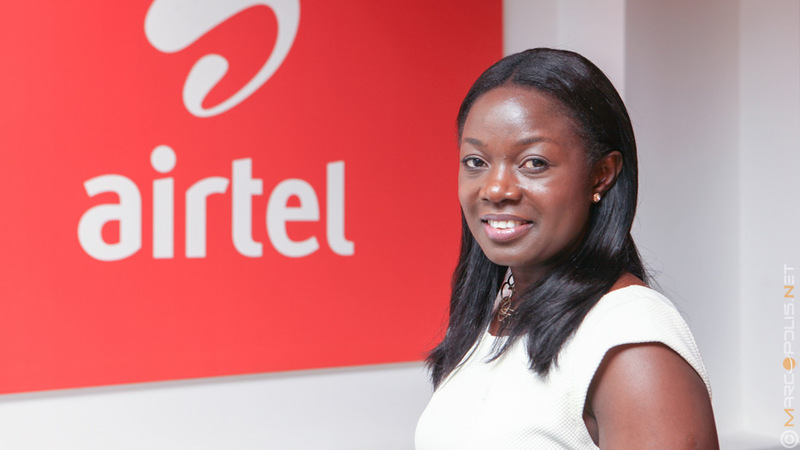 You are the first Ghanaian woman to lead a multi-national telecommunications company in Ghana. Where would you personally like to see Airtel Ghana in one-two years’ time? A year ago, when I started thinking about our vision, it really felt like it was some way off in the future. Now, today I find that so much of that vision is real, today. I want us to absolutely lead the digital transformation of Ghana. That digital transformation should cut across customers of all walks of life, all spheres. We are really living that digital transformation, not just purely from an access to internet point of view which is what people traditionally think of but in terms of innovative services that people use. I give you the example of contactless payments on smartphones, free Facebook etc. so my vision is to continue to drive that digital change, to pool together all of our skills and competences and really be a technology company that has a transformative impact on education and healthcare in Ghana and Africa at large. I believe our technology has the ability to create scale and access for millions to high quality education and healthcare. I am enjoying living that vision.